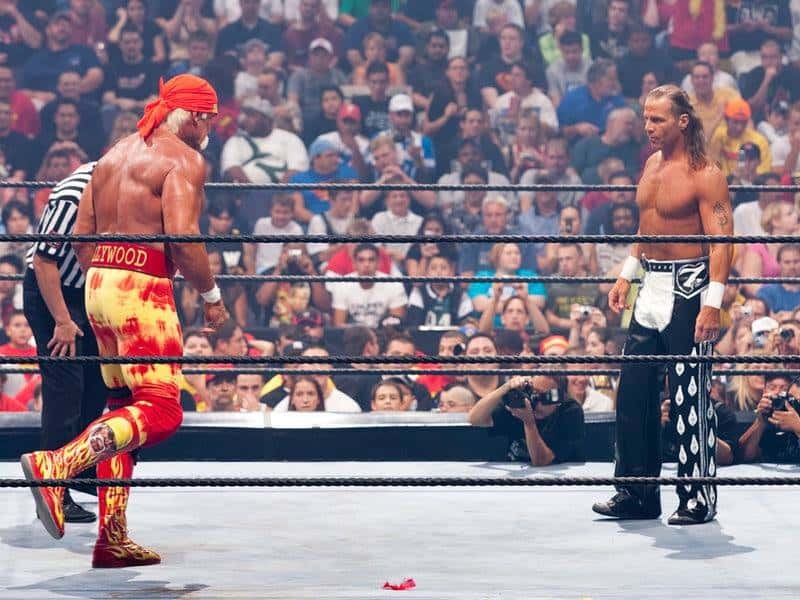 SummerSlam 2005 was the home of one of the most intriguing and infamous matches in recent history, The Immortal Hulk Hogan versus The Heartbreak Kid Shawn Michaels, and it’s talked about for all the wrong reasons. If a match is still being talked about years after it took place, it usually means it was an all-time classic. The match featured two of the most successful wrestlers to ever lace up a pair of boots, yet they just couldn’t get on the same page. Shawn was well-known for being tricky to work with in the 90’s and played a huge part in backstage politics. The Hulkster, too, was no stranger to politicking backstage. However, by 2005, The Heartbreak Kid had turned his life around, adopting a new attitude, finding God, and wasn’t into trying to backstage politic his way to the top any longer. 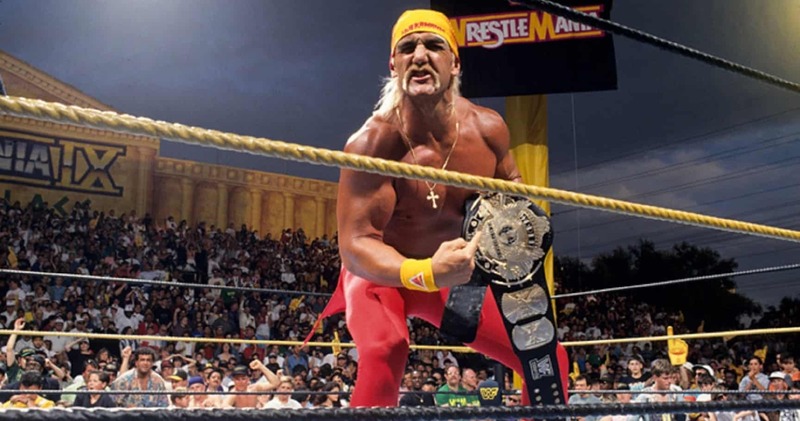 Hulk Hogan, being the star of his magnitude, was able to have creative freedom and book on his own terms. This became a problem in the build-up to the huge SummerSlam match with Shawn Michaels. Joking aside, this is essentially how things went. Shawn thought the way to go with this bigtime money feud was with three matches, trading wins, with the third being the ultimate decider going to Hogan. Yet, only one match ever occurred where Hogan won. The following night on Raw, Shawn did a follow-up promo, and that was it. Hogan didn’t want to go the three-match route. This bugged Shawn, and the result was truly memorable for all the wrong reasons. 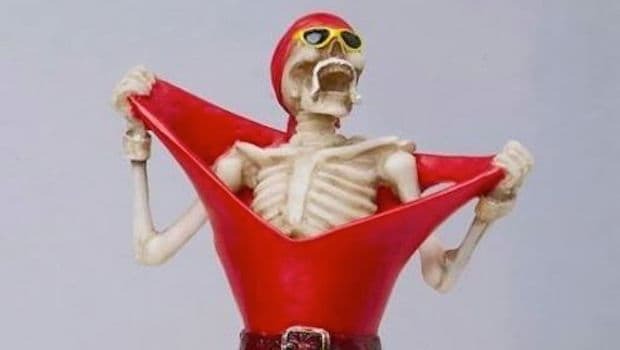 In cartoon-like fashion, Michaels infamously “oversold” almost every move throughout the match, making a farce out of it and humiliating Hogan in the process. During a 2014 Q&A in Manchester, Shawn addressed the match. 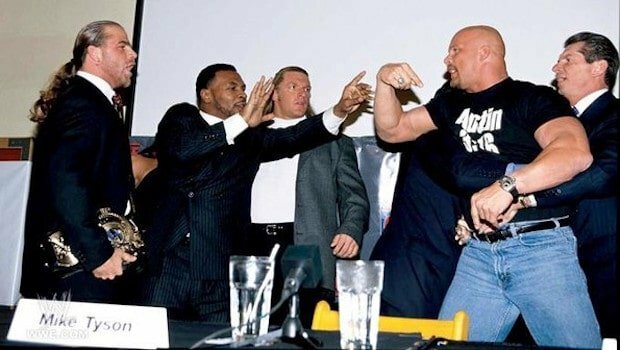 The man who stood across from him in the ring that night, Hulk Hogan, has a different outlook on what took place. The Immortal One had more to say. 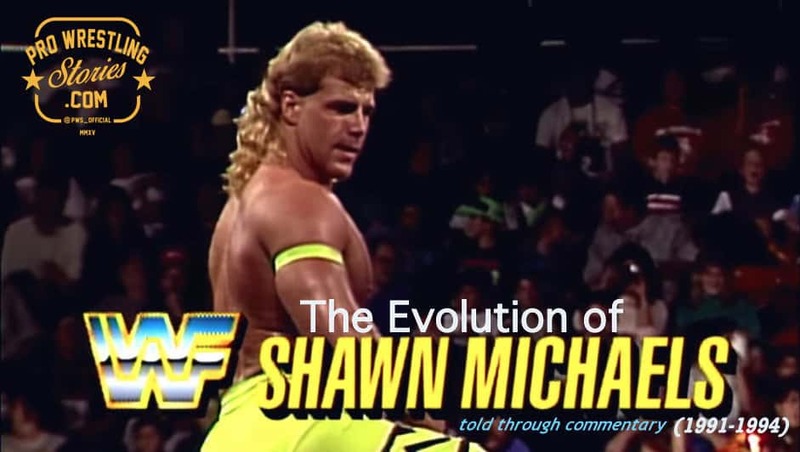 Here is word-for-word the Shawn Michaels’ promo that Hogan referenced prematurely ending their feud. It’s hard to believe this is the reason the feud came to an abrupt end because moments after this promo, Chris Masters came down to the ring, starting a new feud with HBK and turning him back to a babyface. It was quite evident that the feud with Hogan had come to an end by then. 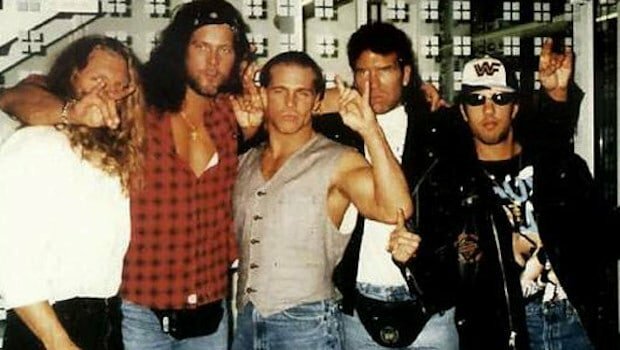 Speaking of Shawn Michaels making the transition back to a babyface, his wish for the match against Hogan was to be a babyface. Michaels wanted a good guy versus good guy match at SummerSlam. Hogan was opposed to this, which also contributed to the tension between the two. On the DVD “The Shawn Michaels Story: Heartbreak & Triumph,” which can be found in the Beyond The Ring section on the WWE Network, Shawn Michaels explains his frustrations. And then the next week I was told that Terry [Hulk] would prefer classic heel versus babyface. 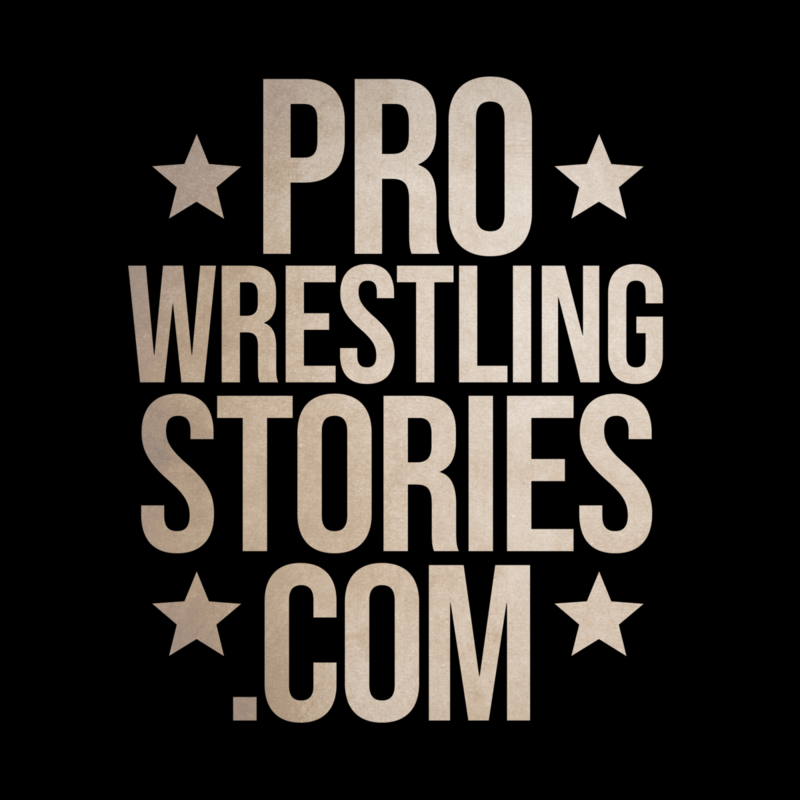 The match is historic and will always hold a spot in the archives of wrestling, never to be forgotten. What Happened After SummerSlam 2005 Between The Heartbreak Kid Shawn Michaels and The Immortal One, Hulk Hogan? Later down the road, Hulk Hogan had some nice things to say about Shawn. Of course, in this crazy world of pro wrestling, they managed to patch things up like most superstars with beef seem to eventually do.